What can I say? 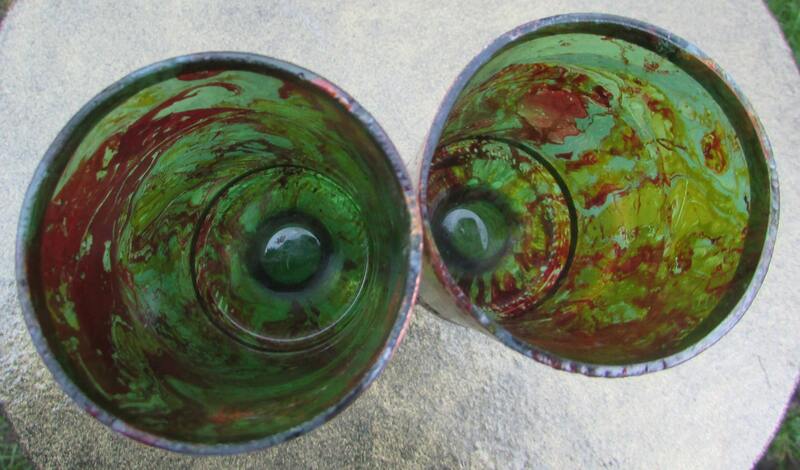 Sometimes glass marbling goes in unexpected directions. 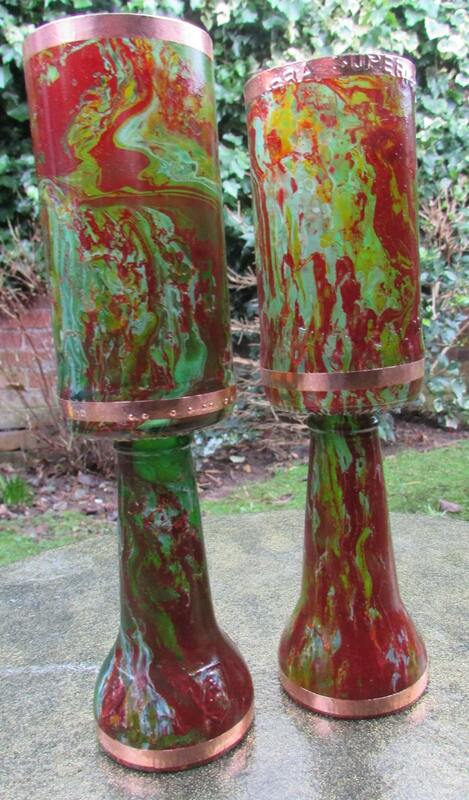 This pair has taken a - how can I put it - slightly gruesome tone. So they are clearly only for someone with very 'specialized' tastes. Copper bound rims and bases. Stands 23 cm high. Hand wash only, do not soak.